We see a wide range of different projects showcased on our Community Forums, ranging from the simple and to the point (read: cheap) to the extravagant and over the top (read: how to anger your wife). One of our members, Darkback2, decided to simultaneously raise and lower the bar by creating the Junk Bot Challenge! 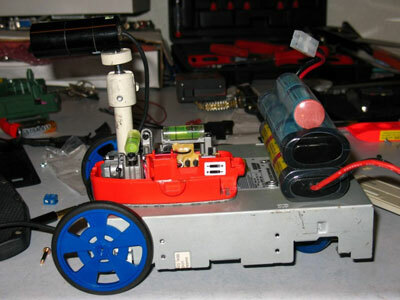 Participants essentially try to build the best bot they can using any spare junk and salvage laying around the house and a $20 budget for additional parts. Plastic Forks. And Chopsticks. How awesome is that? 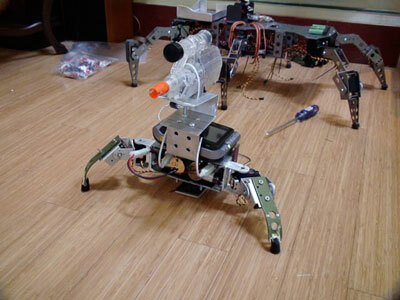 This robot might go down in history as the most awesomely low-cost quadrapod ever made. Is it a quadrapod or a tripod? We don’t know, we don’t care. It’s best not to ask too many questions when your robot has a gun. 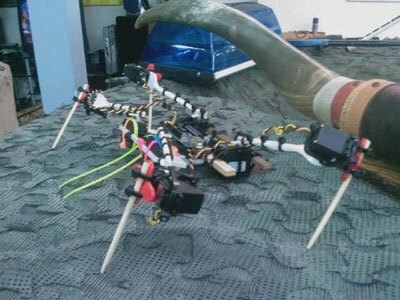 Look out Tiger, this robot could probably beat you down at your own game. Or at least Mini-Golf. Bonus points for giving this robot a very cool personality. It’s a bug, it’s a frog, it’s a robot made out of cardboard! This bot gives “Trash Bot” a run for it’s lack of money in the cheapest robot department, and is actually quite mobile. 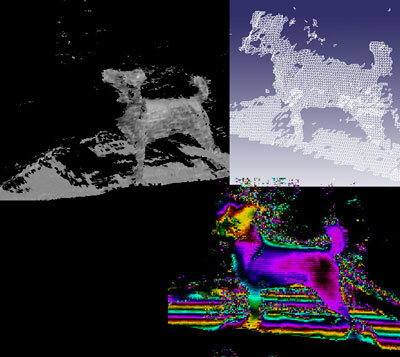 Many of you may not know what LIDAR is. Regardless of what wikipedia says, I know the real answer. LIDAR is what happens when someone with a serial-overachievement complex enters in the Junk Bot competition. Not satisfied with simply building a cheap robot, Adrenalynn (aka Hermoine) built a LIDAR vision system (which usually run in the several thousand dollar range) out of spare junk and pocket change. Shes sick I tell you. Sick. Well that about wraps up the Junk Bots 08 contest. Make sure to cast your votes, poll closes on September 8th! 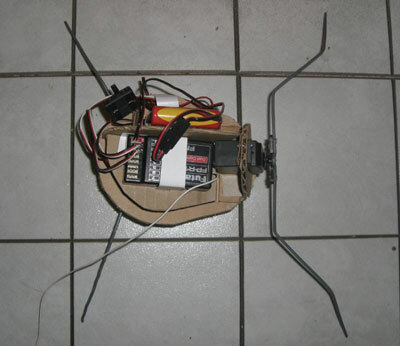 This entry was posted on Wednesday, September 3rd, 2008 at 6:39 pm	and is filed under Competitions / Contests, Featured Projects / Robots, Misc. You can follow any responses to this entry through the RSS 2.0 feed. You can leave a response, or trackback from your own site.